Situated in the heart of Stellenbosch for convenience and charm. 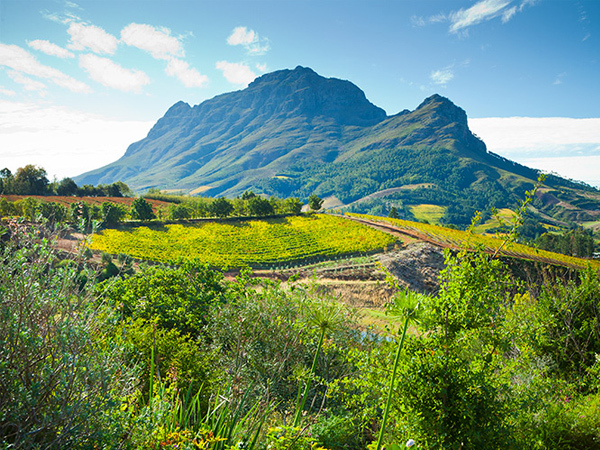 Bartinney is set on the dramatic slopes of Botmaskop alongside the Helshoogte Pass overlooking the picturesque Banhoek Valley in Stellenbosch. Established in 1912, Bartinney has been in the Jordaan family since 1953. 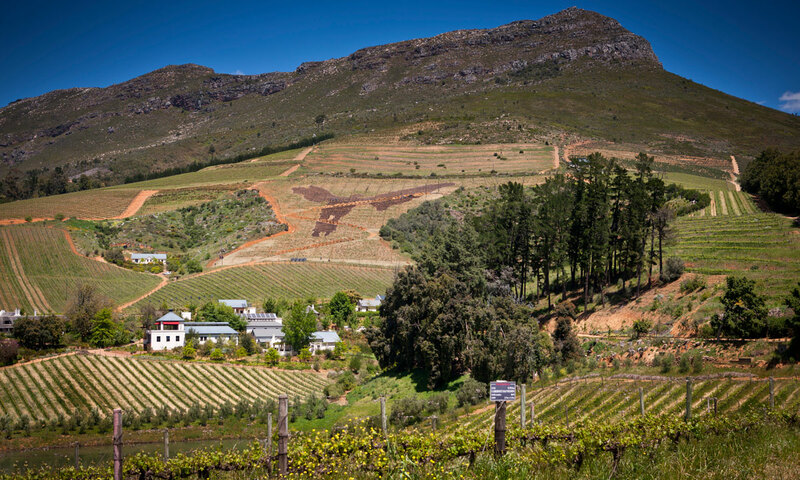 Now Rose and Michael Jordaan tend to the 28 hectare farm, with a vision to create excellent wines and reawaken the charm of the historic land. Creating excellence in wine has not been a singular pursuit. 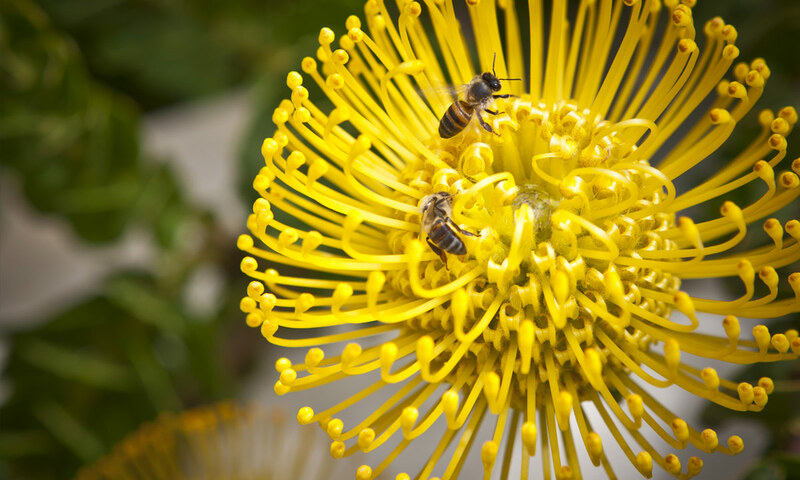 Our belief is that every aspect must work in harmony: agriculture with nature, people with animals, sustainability with excellence. The old vines are planted to a height of 550m above sea level and with slopes as steep as 45 degrees, creating wines that have exceptional expression and character. Small pockets of low yielding, hand-tended Sauvignon Blanc and Chardonnay vineyards offer up perfect fruit on the cooler elevated slopes. 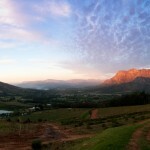 On the slightly lower foothills of the Botmaskop mountains the Cabernet Sauvignon vineyards are tended to. The perfect conditions to grow grapes with a balance of rich and mineral characters. The winged figure depicted on each bottle is called ‘Elevage’ and symbolises the French art of the selective maturing and ascension of a wine to its ultimate heights, unfurling its most noble traits. This idea is embodied in the team work, small-lot artisanal craft and gentle methods, relied upon to create excellence year-on-year. 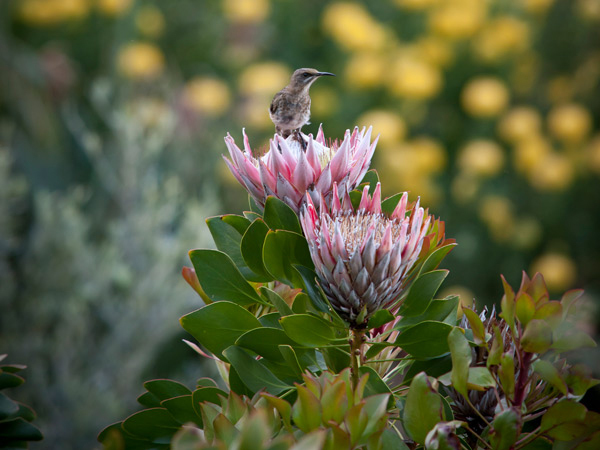 World renowned sculptor Dylan Lewis’ magnificent sculpture, ‘Elevage’, iconically resides in the acclaimed fynbos gardens, resembling the winged figure of the Bartinney logo. 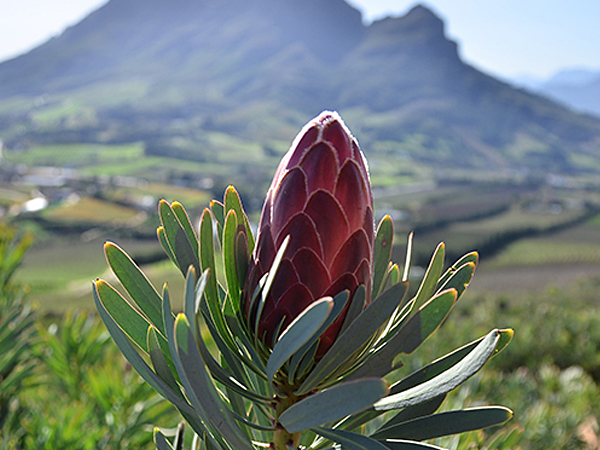 Additionally, landscape artist, Strydom van der Merwe, helped establish a two hectare land art form of ‘Elevage’ in fynbos in the Hourglass Chardonnay vineyard. Visible from an aeroplance, this is the first of its kind in the world – a fitting tribute to Biodiversity and Sustainability. 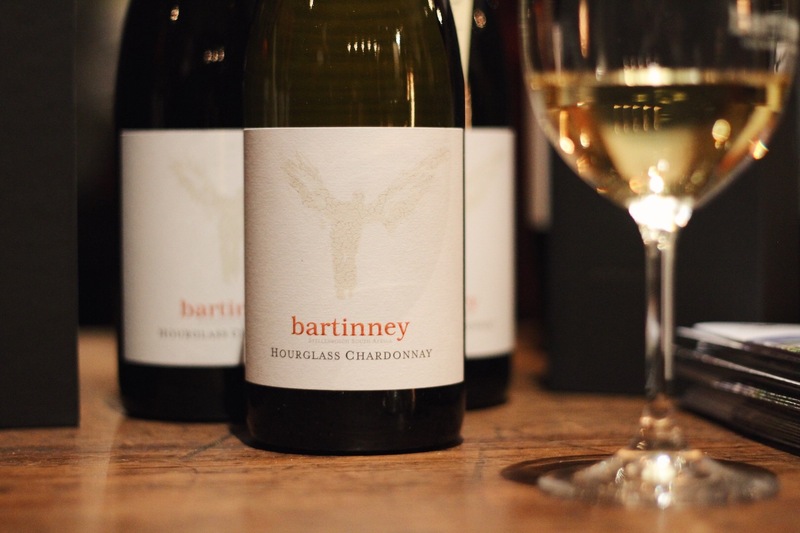 Bartinney wines are enjoyed at The Tasting Shed on Bartinney Estate, or at the Bartinney Wine and Champagne Bar in the heart of Stellenbosch, where guests regularly spill onto Bird Street glasses in hand. Our Sauvignon Blanc is generous in style with an abundance of ripe granadilla, green fig and grapefruit aromas. Our Chardonnay displays a bouquet of lifted apricot blossom, lemon and suggestions of vanilla and oak. Our Cabernet Sauvignon is a vibrant and full bodied wine. The nose displays aromatic plum and dense cassis with a hint of mint. The wine has a brilliant deep ruby colour, complex nose of black cherries, violets, mocca, with a hint of classic French oak. The Bartinney team have proudly launched the long anticipated, premium, flagship, small-batch wines, the Skyfall Cabernet Sauvignon 2012 and Hourglass Chardonnay 2015. The flagship small-batch releases, hero the depth and maturity of the high-altitude vines, they are crafted from the estates best hand-selected blocks. Balance and harmony is key; both within each and every bottle and in terms of the farms relationship with its unique and diverse surroundings. Why not enjoy a bottle, or two? 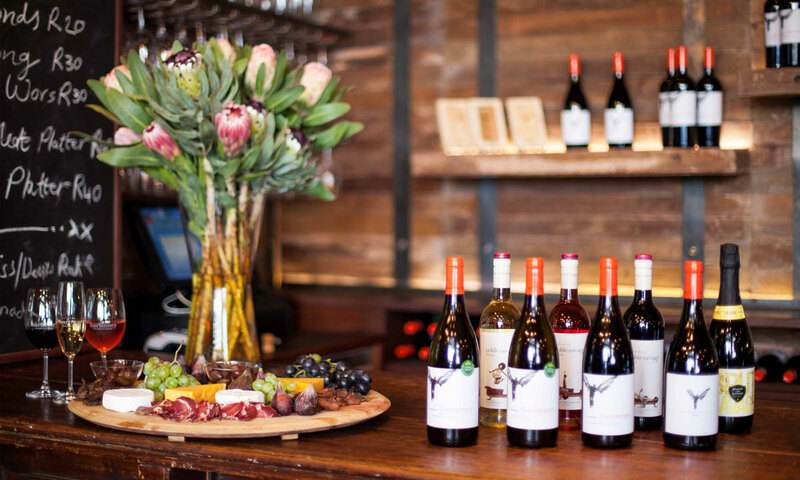 The wines are now available at the Estate Tasting Shed, Wine & Champagne Bar, Stellenbosch and from our online shop. 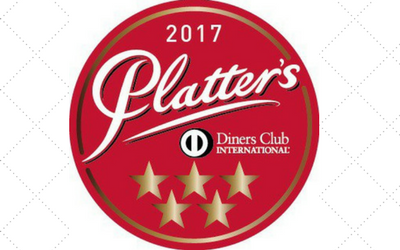 The Bartinney Cabernet Sauvignon 2014 has been awarded the coveted 5 stars by Platter’s. This follows the success of the Bartinney Chardonnay 2015, which was awarded 5 stars in 2017 guide. The Cabernet joins the equally delicious 2013 Cabernet, for tastings at the estate Tasting Shed (Thurs 12-5pm, Fri 12-8pm & Sat 10-3pm). A limited pre-release is available to purchase at the cellar door (max. 6 bottles per person). Read more about our success here. 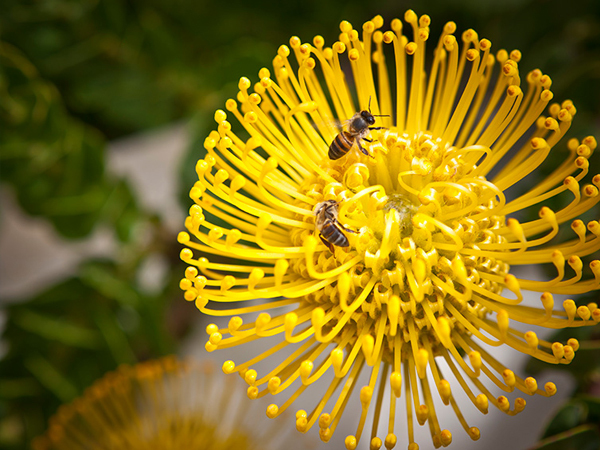 The Bartinney team are delighted to receive an accolade that salutes our forward thinking approach, and consistent efforts to conserve our rich and rare Cape biodiversity.